"That support includes a mobile surveillance capability through the end of September 2019, as well as the emplacement of approximately 150 miles of concertina wire between ports of entry," the statement said. There are already about 2,350 active duty troops along the border in Texas, Arizona and California. In the statement, the DOD said the total number of active duty forces would only rise to 4,350, meaning some of those currently deployed troops would return to their bases. There are also about 2,200 National Guard troops who have been serving on the southern border since last April. 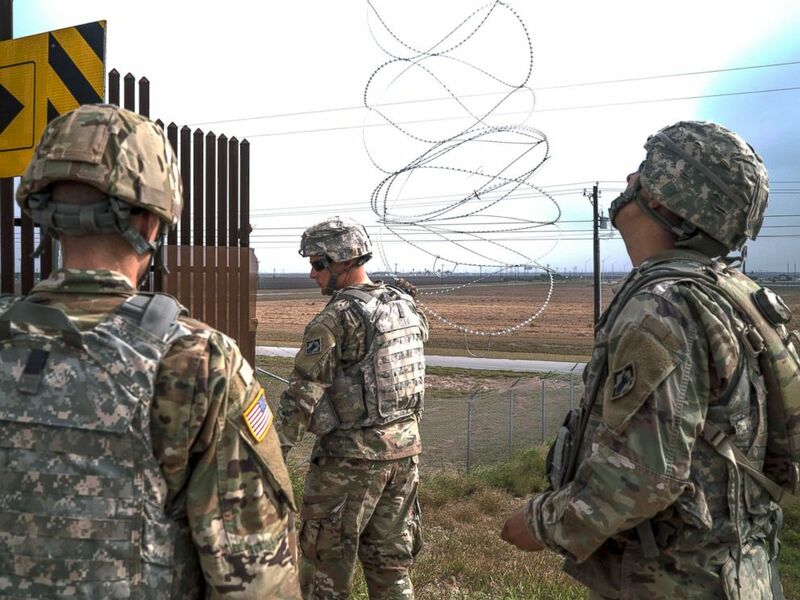 541st Sapper Company Soldiers use a cherry picker to install concertina wire along the top of the border fence in Donna, Texas, Dec. 1, 2018. The troop increase was previously announced by House Armed Services Committee Chairman Adam Smith who in a statement on Thursday sharply criticized top Pentagon officials for not disclosing the figure during a public hearing about DOD's border mission earlier in the week. Smith, a Democratic congressman from Washington state, said he has since spoken with Acting Defense Secretary Patrick Shanahan for more details about the additional troops, but that phone call was "not a substitute for transparency before Congress and public candor." The active duty and Guard deployments are already estimated to cost taxpayers $682 million. 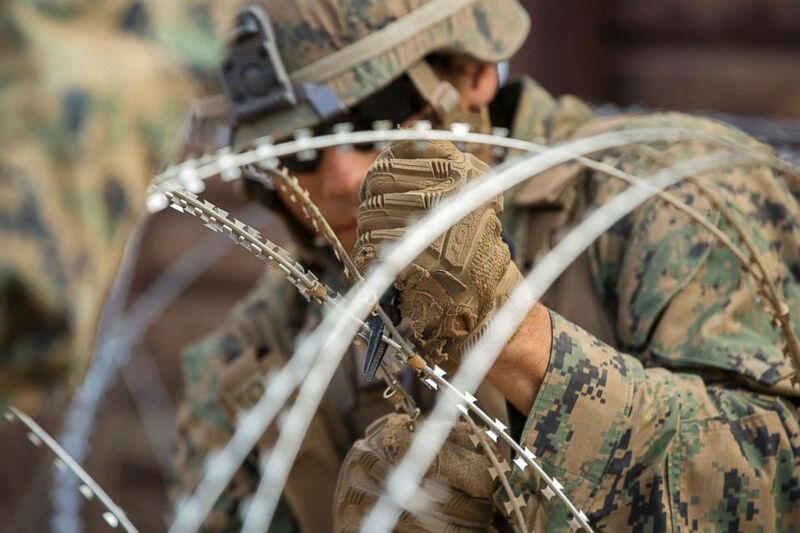 U.S. Marine Corps Matthew Burgett, a combat engineer with 1st Combat Engineer Battalion, Special Purpose Marine Air-Ground Task Force 7, adjusts concertina wire using pliers at the California-Mexico border, Nov. 28, 2018. Since the fall, military engineers have built approximately 87 miles of wire obstacles and placed movable barriers at 22 ports of entry in Texas, Arizona and California, according to the Department of Defense. On Thursday, President Donald Trump tweeted that more troops were deploying "to stop the attempted Invasion of Illegals, through large Caravans, into our Country," adding that a wall would make it "easier" and "less expensive" to stop the migrants.